This sub has a lot of resources, including what's in the automod response to your post. I've definitely read a similar hypothesis somewhere if it's not there, and personally I believe it. Nature abhors a vacuum. That’s great! 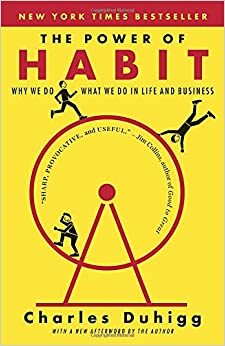 I don’t know what you think about books, but I recently finished my MBA and we spent a lot of time thinking about our own behavior and the behavior of people we might manage in the future. There’s a couple really life changing books I read, first is the The Gifts of Imperfection: Let Go of Who You Think You're Supposed to Be and Embrace Who You Are and Daring Greatly: How the Courage to Be Vulnerable Transforms the Way We Live, Love, Parent, and Lead by Brene Brown. Those were and are just great books about how to deal with being a person. She also has a TED talk by Charles Duhigg. He also has a TEDx Talk . When you said that your conversation about your success gave you the power to stop eating too much, it reminded me so much of what I learned from Brene Brown about the power of vulnerability and really just connecting to yourself and others. That's really just basic habit loop -- trigger-action-reward -- that one needs to break by replacing action part with something different more useful. Pretty quickly one gets used to a new habit loop structure and the same old trigger now ignites some healthy action to receive the same old reward. E.g. teeth-brushing habit: trigger - wake up, action - brush teeth, reward - freshness mint (or other) taste in your mouth. That's basically why a taste was added at all to a toothpaste -- to create a habit loop. Before that teeth-brushing powder/paste was tasteless and resulted in bad sales. Check out these two books, they really changed how I approached learning and really anything that involves time/practice/dedication. I learnt this from reading the book "The Power of Habit" . It covers the whole affair in detail, well worth a read.